The police force is in panic, the population on the verge of a riot – and who is the mysterious maniac recently arrived at the station? Part buffoon, part angel of justice, he embroils the police in a series of games, ranging from the ridiculously farcical to the deadly serious. 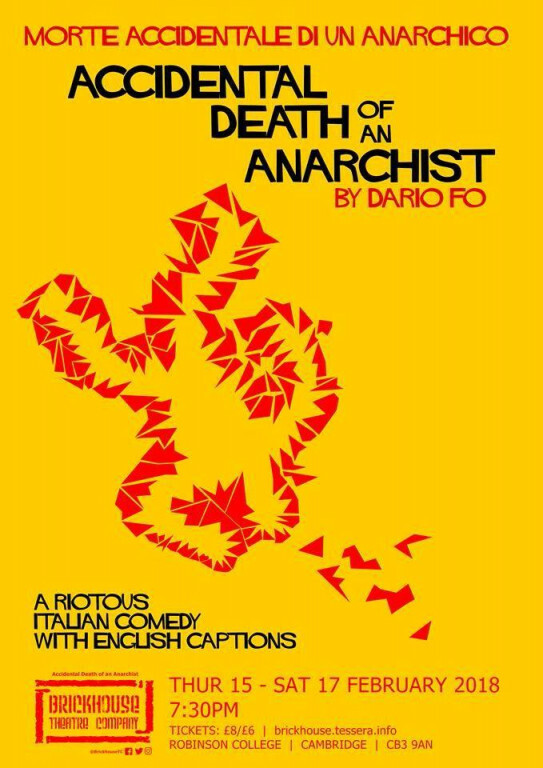 Come and see the fifth annual Italian-language play by the Cambridge Italian Society, a bold production that integrates the Italian and English languages to bring to life Dario Fo’s most daring, explosive and darkly comic masterpiece.